Below you can find all our Pen brands, dont hesitate to call us if you need any help. Penworld is a family-run business that was founded in 1924, for several generations we have been following the evolution of the world of pens. Today the 4th generation can perfectly help you with choosing the writing instrument that perfectly suits your needs. Be sure to also also visit our shop in Antwerp when you have the chance. In 1996, the brand Cross its 150th anniversary. Founder of the house was Alonzo Townsend Cross, which is the spirit of tradition and innovation of the US East Coast incarnated. Although the family dynasty the brand over the years managed to give considerable prominence, Ellery Cross was that ultimately prevailed in 1946 with the launch of the collection "Century". Cross of success is here, to this day, it identified. The elegant line is the reference in the world of writing, where everyone her "classic beauty" recognizes as a genre example. Each year more than 17,000 American children fall victim to illegal gun violence. Now there is a new way to get involved and address this problem. Every purchase of a Cross Calais Liberty United ballpoint pen supports children in some of the most dangerous neighborhoods in the USA. This striking writing instrument features the serial number of an illegal gun taken out of circulation, a disk of blackened gun steel inset in its conical top, and accents in orange, symbolic of the movement to stop gun violence. For orders outside the European Union the 21% VAT will be deducted automatically. Every order is carefully wrapped so nothing can happen to it during transportation. Every day, we have pens which are shipped around the globe. 95% of our orders are shipped within 1 or 2 days. Most of the products on our site are in stock. Should you happen to order a pen which we do not have in stock at that time, we will contact you asap with the estimated delivery period. 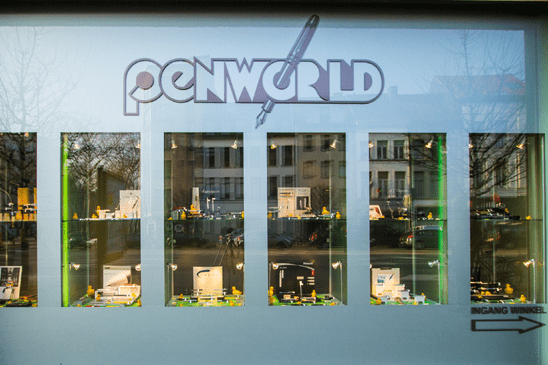 Get the latest products and news from Penworld!